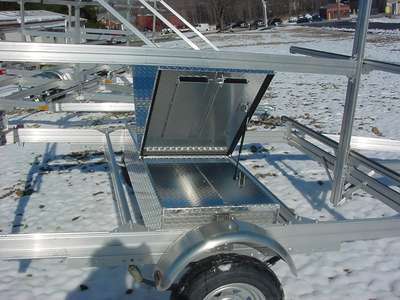 This all bolted aluminum trailer has a 1000 pound capacity and weighs 340 lbs. 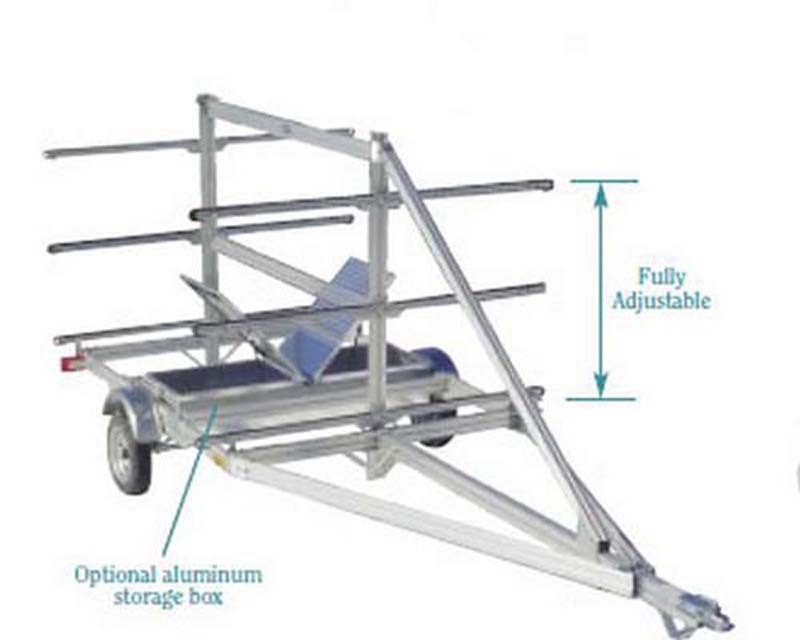 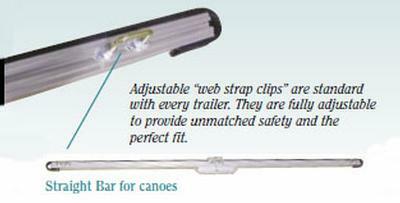 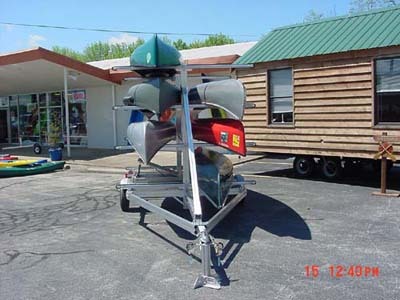 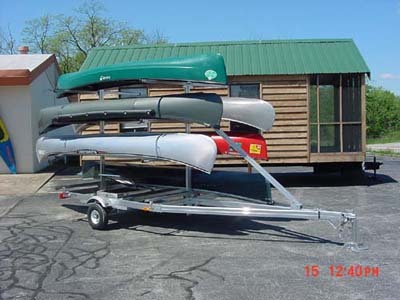 It is fully adjustable for carrying 8 canoes up to 18' in length. 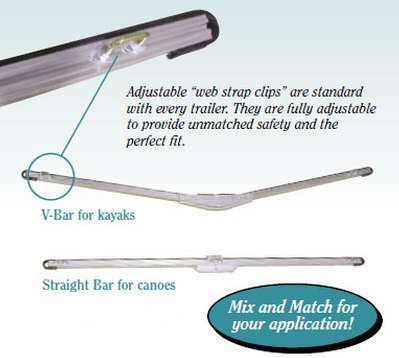 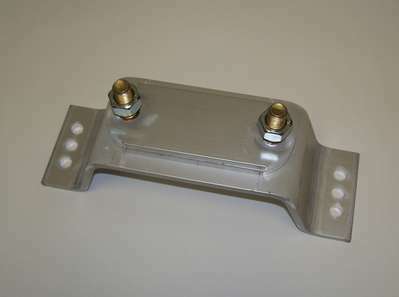 Standard adjustable crossbars with vinyl extrusions to protect your boats. 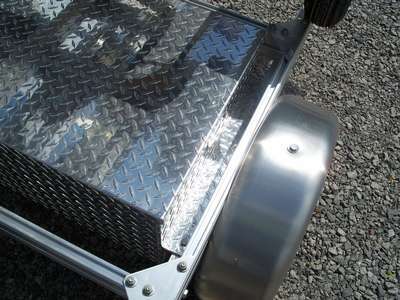 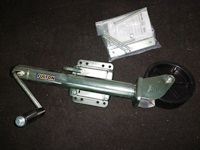 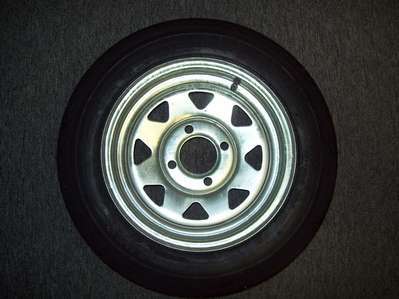 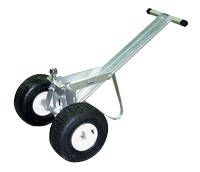 Standard with 12" galvanized wheels and aluminum fenders. 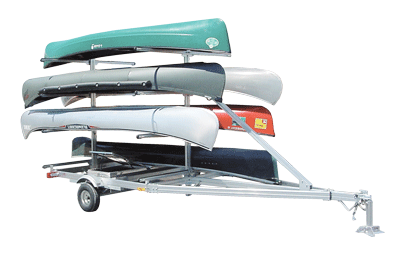 (Shown with optional storage box).7' 8" between uprights, length 17' 5", width 7' 4" 2" coupler, height 8' 3"